I’m a little late AGAIN getting this out… I promise not to make a habit of it but I’ve been super busy getting the new business started. I can’t believe it’s been a month since I’ve posted! I do owe my readers more updates and I’ll try to get back on a regular weekly schedule of posting my latest purchases. At some point I’ll slow down and have more free time to write. Until then I will try a little harder to find time for some updates. I earned $362.73 in dividends for the month. My expected forward 12-month dividend income is $8076.00. 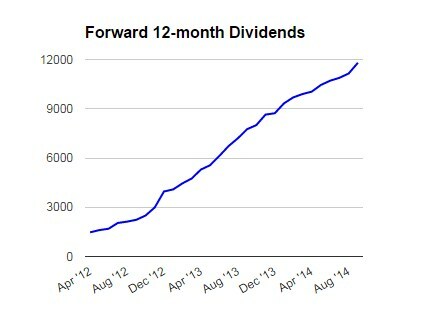 This is a drop from January as BBL brought a giant hit to my dividend income. Another lesson of why it’s important to diversify. KO – On 02/18/16 they increased the quarterly dividend from $0.33 to $0.35. I wasn’t able to post about these increases in February but these increases can usually be found on my Dividend Increases label. I’m overdue for getting this out. I hope to have it done before the first quarter is over. I currently own 1 rental property that’s up for lease in the next couple of months. I’ve started to update my net worth again. I still have a few changes but it will be more accurate after another month or two. Purchases were light but I’m still consistently investing, just not as much as I’d like since I am working on catching up with my taxes. The remainder of the money has been pumped into the bar I’m opening soon. Until things get normalized around here, posts will be a little sparse. However, I’ll do better than posting once a month, it was just a busy month. The restaurant is getting really close to finished. I did receive my license to sell alcohol and the food license was easy to get. So I can technically open but have been taking care of other logistical things like insurance and pricing for foods/alcohol so I can work on the menu pricing. I’ve almost finished menus and have a fully operational POS system connected to two printers, one for receipts and one to send tickets to the kitchen. My original target date was mid march but that has been pushed back to the end of April. I’m getting a lot of interest from neighbors and I’m nervous as well as anxious to open up. I’ll try to post more updates and hopefully some pictures. I’m keeping myself busy and focused. I’m a long ways from FI but I’m doing things that I enjoy doing so in a way I’ve already made it. I know I’m much happier now than I’ve been in a long time. 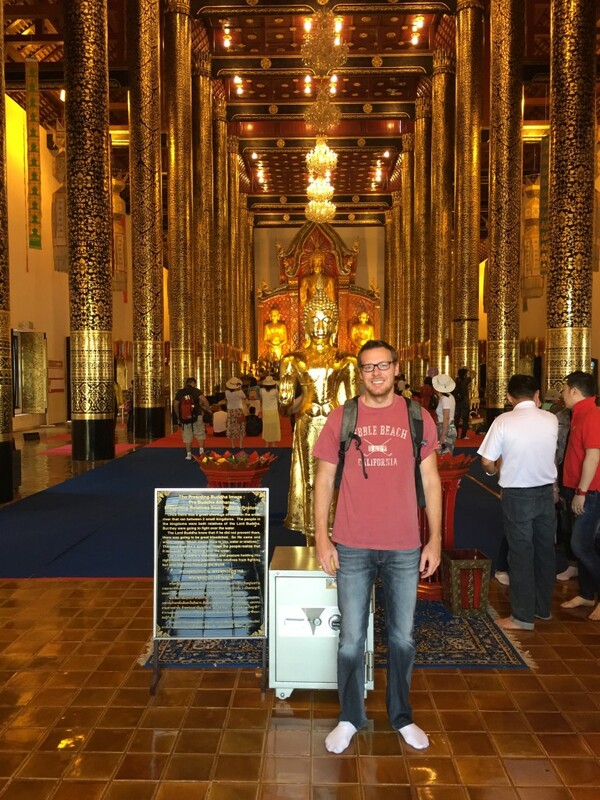 The picture is from a temple in Thailand. Another solid month, so thanks for sharing. The dividend income for Febuary was very good, considering it’s a typically slow month. Best wishes on opening up the business in April, as I bet you can’t wait to see it come to fruition after all this time getting it set up. Thanks! The new venture is turning out to be a lot of work and it’s not even open yet. I’m definitely anxious to get it opened up. It’s just tough seeing $8k when I broke $12k at one point. I’ll get back there eventually. Ha, I suppose I can’t complain. I’m happy, health and still earning a nice living. Hi AAI — nice to “hear” from you again. Sounds like you’re very busy. Me too! My posts have been frequent enough, but shorter than usual. I feel I’m like one of those skipping rocks on a pond, just making contact here and there. I’m looking forward to hearing more about your business endeavors. My oldest son is interested in opening his own restaurant one day, so I’m curious to hear how things are going with your business. Thanks, it sounds like we have both been busy with real life. I hope things will normalize so I can keep t he blog updated more. Sometimes boring is good, it works well with dividend growth investing. Slow and steady wins the race. I do need to post more updates about the restaurant. It’s a tough business and I haven’t even gotten started. Having business experience is good but no restaurant experience makes it more of a challenge. With a little persistence, I think I will get the hang of it and make its successful.